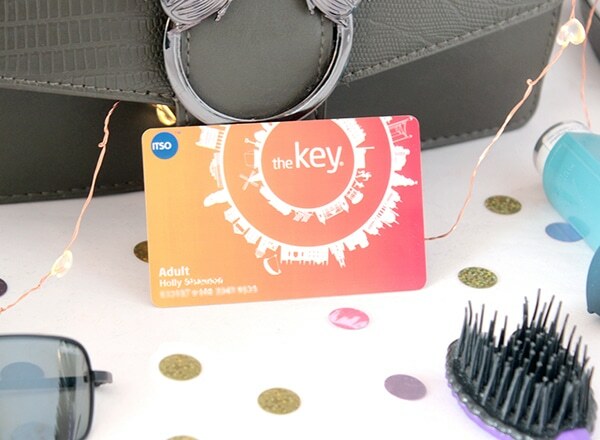 Bus pass – I can’t get around Brighton without it so this in always in my bag. There’s a little pocket in the lining which holds this card perfectly!! Phone charger and cable – There’s another bigger pocket in this bag so I use it to store my phone cable so that it doesn’t get damaged. I also keep my smaller charger in the bag for emergencies, but if I’m going somewhere for a few hours, I’ll try to shove my beast of a charger in the bag instead! 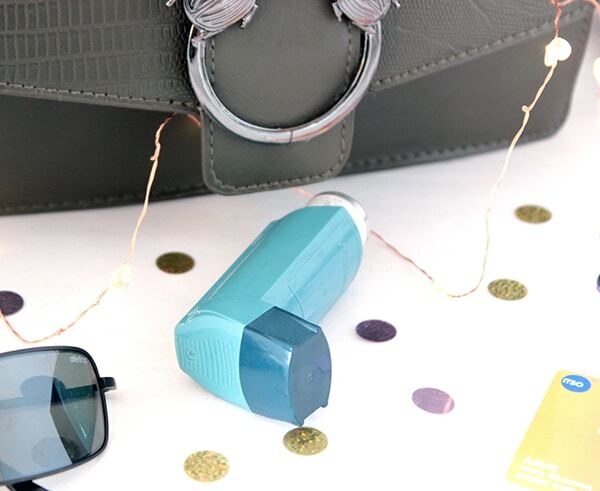 Inhaler – As an asthmatic, I always need my inhaler to hand in case of an attack. Unfortunately as my work is situated right next to a building site at the moment, I’m needing it a lot more often!! 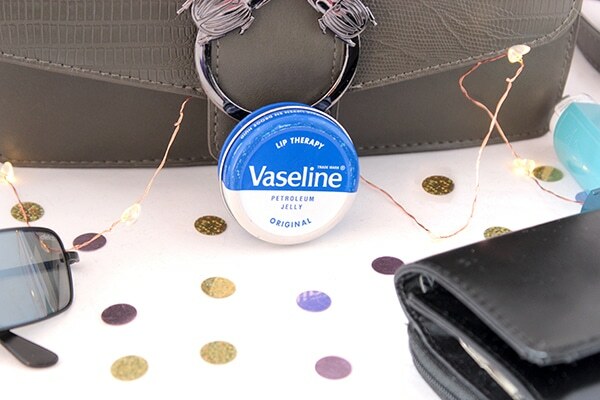 Vaseline – Just because it’s summer, doesn’t make you can’t get dry and cracked lips! I always have some to hand, just in case! 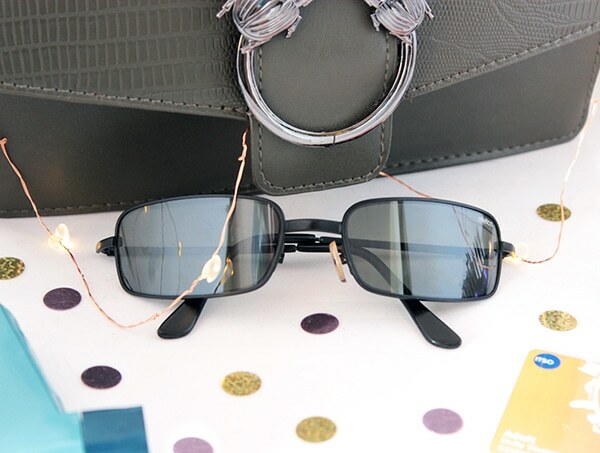 Sunglasses – As the weather is currently glorious in the UK, I’ve been shoving in some sunglasses to take with me. These were originally J’s but as he wears glasses and they’re not prescription ones, he gave them to me 😀 They’re Atletica ones from Mexico!! I love that bag, it’s gorgeous and can’t believe it’s from Primark. I definitely want to come shopping with you as you always find the best bargains! Plus I love having a nose into what people carry in their bags, mine has pretty much the same as you as well as at least 4 lipsticks, lol. 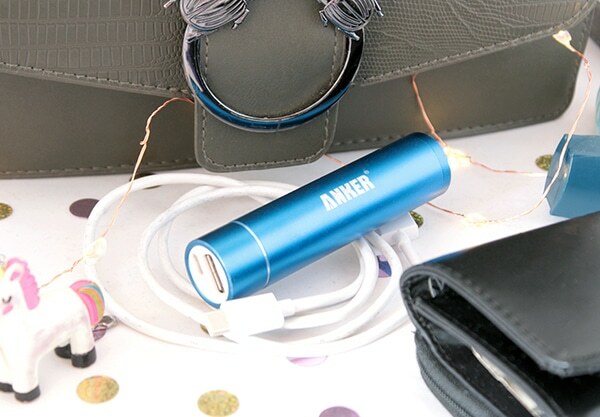 I have an Anker phone charger too and they are the best I’ve tried so far! 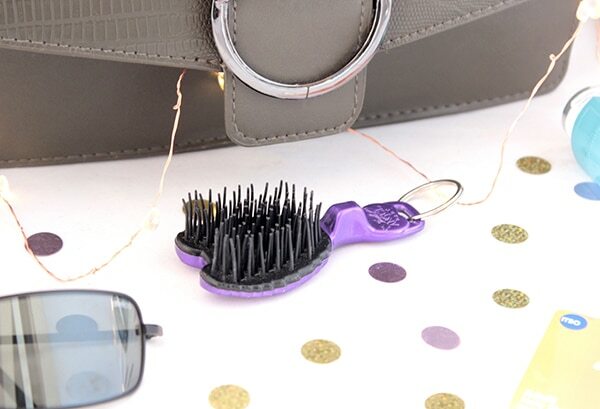 That mini Tangle Teezer is cute! I need it… I always carry a phone charger with me, so handy! 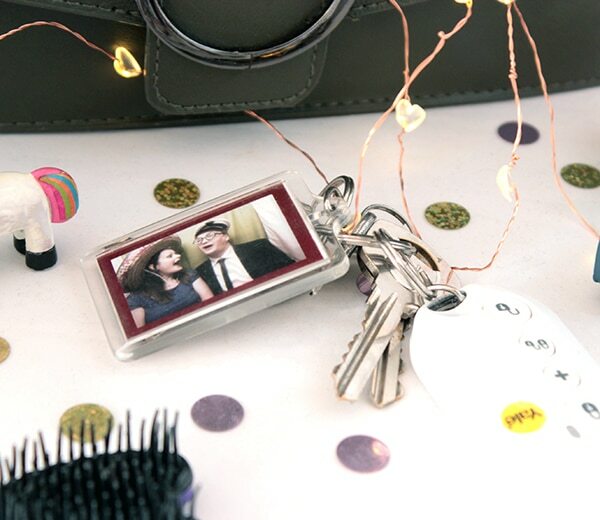 I have that unicorn key-ring too, it’s so cute! Bargain bag! 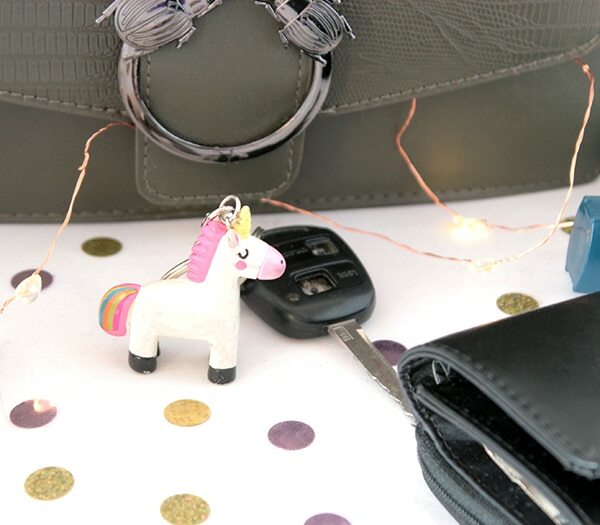 Love the unicorn keyring too! Very surprised when I read you got your bag from Primark! It’s gorgeous. This post isn’t too old so I’m hoping they’ll still have it or similar designs. 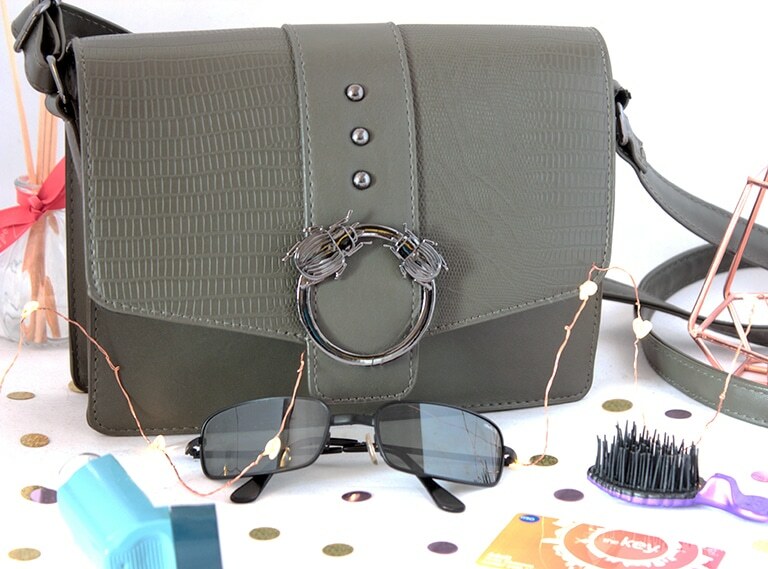 Such a bargain and my current cross body bag has been used to death! I tend to keep a lot more in my bag such as deodorant, hand sanitizer – I once got caught out in a gross public toilet in Paris (long story) so I always carry some now, along with tissues!, headphones, glasses case, pain killers, a pen and my Weight Watchers points calculator.